When it comes to making the Swiss Army Knife of portable radios, it doesn’t get much better than the Eton FRX5. Eton is known for making these high quality radios. And the Eton FRX5 is definitely cut out of that mold. With a light, radio, and multiple charging options, it seems to do it all. The Eton FRX5 came in a nice looking box with photos of the product and specs. Materials used in the construction was mostly plastic, and the quality of the materials was good. Build quality and fit and finish was also good. It felt like a well made product, which is a very good quality to have, especially for an outdoor product. Also included was the owner's manual, and a micro USB charging cable. 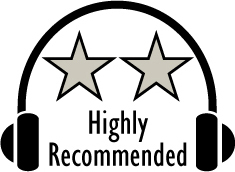 Having previously reviewed Eton products, we were excited for the opportunity to do more for them. The Eton FRX5 did everything well, and the owner's manual was easy to follow. The built-in flashlight was sufficiently bright. And I liked the fact that it had 2, one standard flashlight mounted on the side, and a dome/ambient light on the top. Pressing the light button cycled it from the dome light to the flashlight, to off. Both of the lights also had glow in the dark trip around the light. Holding onto the light button will also allow you to change the brightness of the flashlight or dome light. There is even a red emergency beacon that can be activate. The tuner was also easy to use, being able to change from AM to FM to Weather Band. The digital display makes it easy to see the tuning frequency, and the tuning knob and volume knob make it easy to tune and adjust the volume. The antenna stores flush into the body of the unit, and is easy to pull out and rotate to pull in the best signal. The built-in tuner worked well, and was able to pull in AM, FM, and Weather band stations fairly simply. The built-in speaker worked well and sounded as good as expected. One the side of the unit is where you find the connection ports. This is where you would connect a power cord to the unit to charge the internal lithium ion battery. Below that microUSB connector is a standard USB connector, where you would attach a cable to charge a cell phone with the unit. Next to these connections are also two 3.5mm jacks. These allow you to connect a mp3 player to the unit to listen to your tunes thru the FRX5, or to listen to the radio or your connected mp3 player thru some headphones. And I love the multiple charge options! If you are charging the device, whether be from the charge cord provided, the solar panel, or the hand crank, the display will show the charging indicator is lit. This tells you that the FRX5 is charging. And no matter your environment, you will be able to charge the device thanks to the hand crank! If you have some AAA batteries, that would be a simpler option. But remember that dreaded feeling you feel when your cell phone battery dies, and you realize you don't have your charger cable with you? Yeah, you won't have to worry about getting that feeling with the Eton FRX5. You will always have a source of power. Some products appear so great, they seem too good to be true. The Eton FRX5 provides that same feeling, only it is true! Not only that, it is well made, and performed very well! If you do any camping, or just want to be prepared for potential emergencies, the Eton FRX5 is a must have. And being water resistant, there is no concern for having it outdoors. With an MSRP of $150, it is priced right and will be money well spent. Based on its design, features, quality, and performance, the Eton FRX5 has earned our Editor's Choice Award. For more info and complete specs, check out their website at www.etoncorp.com. Monster has a new soon to be released product in the Monster Elements Black Slate Over The Ear headphones. They already have the 24K, but Monster has expanded on that concept. Now they created the Elements Series, which is a completely wireless line that comes in three versions - over-ear, on-ear, and in-ear. Colors, available are namely the Black Slate, and Rose Gold for now, with more finishes to come soon. They are scheduled to be available in June, but wanting to be included in our annual shootout, Monster sent over a pair of the Black Slate over the ear, with a MSRP of $400. Following the instructions was easy, and in no time at all I had the Monster Elements Black Slate charged and paired to my HTC One M9. And as usual they also came with a separate audio cable. So if the batteries die or you are wanting to listen to a non-wireless device, Monster has you covered. The wireless performance was also very good. I was able to go over 50 feet away with multiple walls between me and my HTC One M9, and the sound was perfectly clear. I also really liked the touch sensitive Swipe Control, being able to control the music by moving my finger across the top of the earcup! It worked very well! Of course being able to listen to high res audio thru the USB Audio connection is also very cool. But how did they sound? The Monster Elements Black Slate are an amazing product, with the excellent Monster sound! They are very well made, very durable, and in true Monster fashion, provide an excellent sound with excellent performance of its other features. Monster continues to solidify its place in the headphone industry. If you don't know headphones, with a purchase of a Monster product, you will get a great sounding product. And with their excellent build quality, they will last a long time. 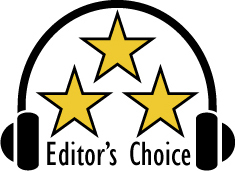 based on their design, features, quality, and performance, the Monster Elements Black Slate Wireless Over The Ear Headphones have earned our Editor's Choice Award. For more info and complete specs, check out their website at www.monstercable.com. JBL has a great pair of headphones in their JBL Everest Elite 700. They are JBL's top of the line wireless headphone, and it shows. Not only are they wireless, they are also active noise cancelling. JBL also includes some top shelf technology in them. Their NextGen Technology allows them to control the level of outside noise. And TruNote is an Auto sound calibration so you can calibrate it to your personal sound preference. There's even a JBL Headphones App. JBL has it all in their top of the line JBL Everest Elite 700 Wireless Headphones. They are wireless, active noise cancelling, have an auto calibration to calibrate them to you, and even a cool app to control them. Add to that their great fit, and excellent sound, JBL has an award winning product. Based on their design, features, quality, and performance, the JBL Everest Elite 700 Wireless Headphones have earned our Editor's Choice Award. For more info and complete specs, check out their website at www.jbl.com.